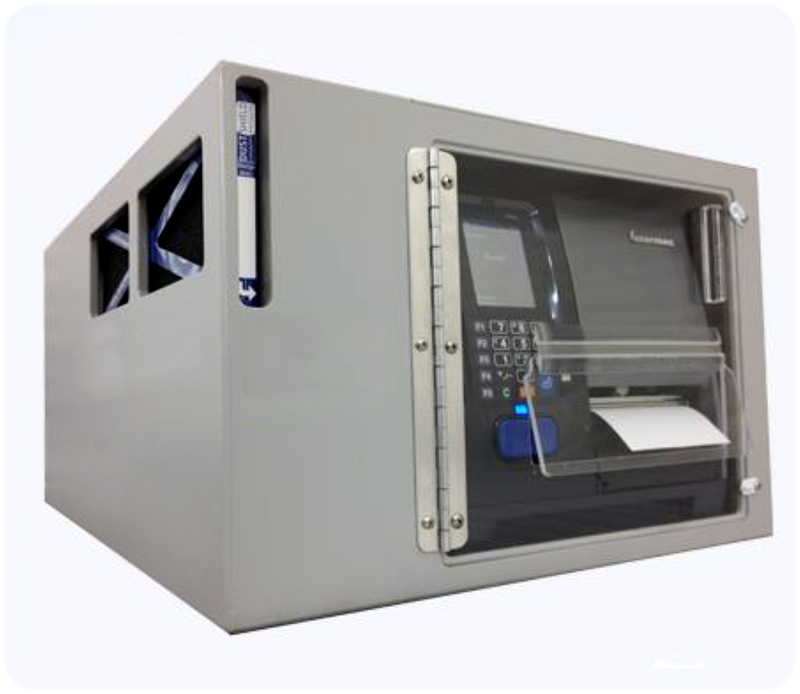 The Barcodefactory offers enclosures and dust shields for Zebra printers, Datamax, Intermec, Sato, TSC, Cab, Cub and Most Major Industrial Label Printers. 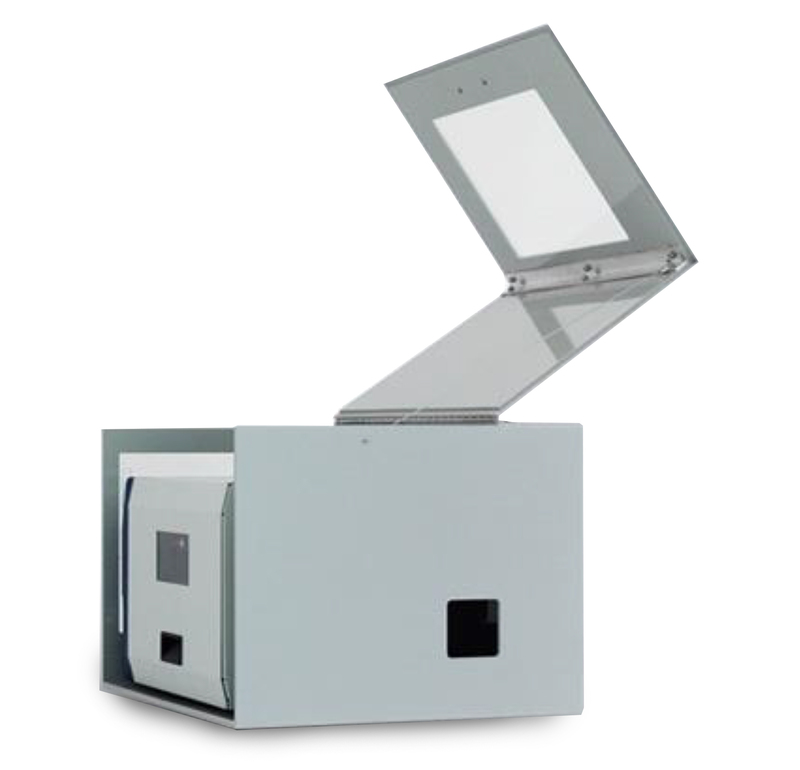 Our label printer enclosures protect your label printers and include a fan / filter system for a clean airflow. Constructed of heavy-dusty ABS plastic for maximum protection and include a lift door to access label and ribbon media. The front panel also gives access to the label egress and printer settings buttons. All enclosures are custom made for your printer. Quantity discounts are available. Contact us for pricing and quantity discounts. Three enclosure sizes accommodate any size label printer. Add your label printer Depth + Width + Height to choose the correct size enclosure and contact us for pricing, quantity discounts or questions. Fill out the form to the right to tell us about your project or call us. Ask us about base cabinets available for any label printer enclosure.